Lately, however, your devotional habits have languished. In light of the struggle, privately you’ve been doing a little spiritual cost/benefit analysis about the whole enterprise. Relax. Why stress about it? Who wants their spiritual life to be a struggle? Let me help you see why you probably don’t need a quiet time anyway. For starters, you’re incredibly busy. In fact, you’ve never been busier. God has given you many responsibilities, and you try to be faithful with them. If you take time for Bible intake and prayer every day, you’ll lose valuable time you could devote to other important God-given tasks. Second, you can’t be in two places at once. With so many needs to meet and people to help, isn’t it a bit selfish to get alone with God and sacrifice time you could use in ministering to others? True, even Jesus frequently withdrew from teaching and ministering to the crowds who sought Him in order to strengthen His soul in prayer. But does that mean He’s an example to us in this? Third, you’re already spiritually mature. Think of all the Christian books and blogs you’ve read in your life. Didn’t they draw a lot from Scripture? Think of how many sermons and Bible lessons you’ve heard. By now, haven’t you reached a level of spiritual maturity where daily devotions simply repeat material you already know? Do you think God expects you to meditate on His Word day and night? Fourth, you don’t want to be a copycat. Just because the great Christian heroes of the past had a regular commitment to prayer and meditation on Scripture doesn’t mean you should. After all, you’re helped by resources they never had. You have a smartphone and the Internet. 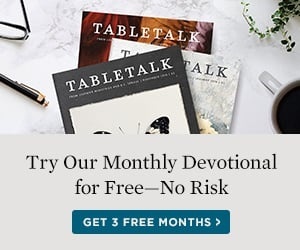 Still feeling remorse about an inconsistent devotional life? Don’t worry; you can always start again someday when life slows down. Convinced? Well, before you completely forsake your daily devotional time, you might consider a few things. A true Christian. . . delights at times to retire from all mankind, to converse with God in solitary places. . . . True religion disposes persons to be much alone in solitary places, for holy meditation and prayer. . . . It is the nature of true grace, that however it loves Christian society in its place, yet it in a peculiar manner delights in retirement, and secret converse with God. Next, Jesus is indeed the great example of personal piety. Yes, you could serve others more if you abandoned your devotional life. But the same could be said for the time you spend eating and sleeping. Would you discard them to meet people’s needs? While there are times to minister to others instead of replenishing your soul or body, as a long-term practice this is neither wise nor fruitful. Jesus could have met literally every need presented to Him. But even He sometimes walked away from needy crowds to pray. Jesus is our example of all things good, including the priority of meeting with the Father. Third, even until death, the Apostle Paul wanted to saturate his soul in Scripture. In the last inspired letter he wrote, Paul pleaded with Timothy, “When you come, bring . . . the books, and above all the parchments” (2 Tim. 4:13). These writings almost certainly included a copy of the Old Testament. If a Christian as spiritually mature as the Apostle Paul required the regular intake of Scripture until death, dare we ever think we’ve “outgrown” the need for it? Fourth, we are called to imitate spiritual heroes. In Hebrews 13:7, God commands us to remember, consider, and imitate Christian leaders of the past. We’re told, “Remember your leaders, those who spoke the word of God. Consider the outcome of their way of life, and imitate their faith.” The consensus of the spiritual giants of Christian history that testifies to the indispensability of a believer’s devotional life should not be forgotten nor their example forsaken. Fifth, rightly motivated devotional habits are never legalistic. Neither the strictest obedience to the Word of God nor the most zealous pursuit of holiness is ever legalistic if one’s motives are right. The measurement of legalism is not the consistency of one’s devotional practices but the heart’s reason for doing them. Finally, you’ll likely never be less busy. If you can’t make time to meet God through the Bible and prayer now, it’s very unlikely you will when—if—life does slow down. Significant changes in your life may indeed be needed. But think: How can less time with God be the answer?